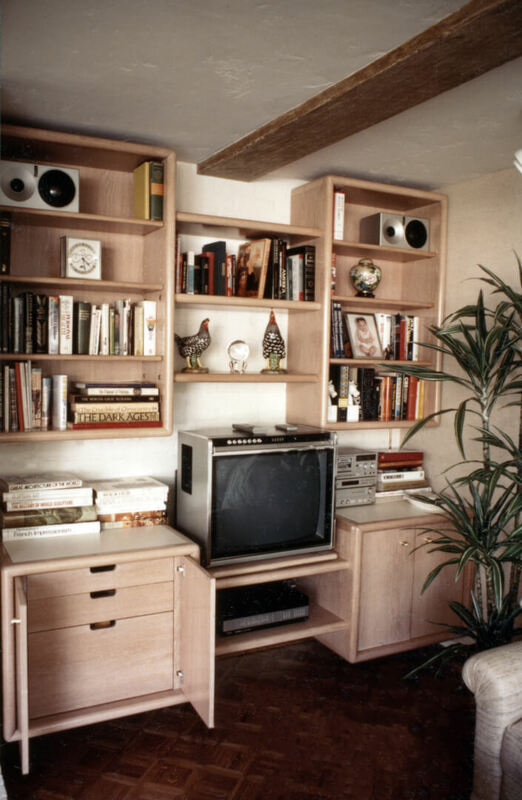 The Stollers had added a family room on the back of their home and wanted built-in cabinetry to house their TV, books, etc. 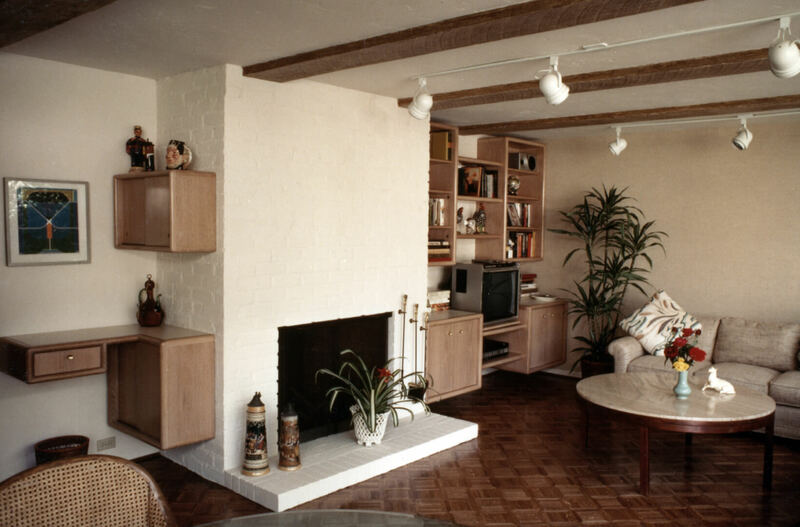 We decided on a design that would fit their mid-century design preferences and work with their existing furniture. All the pieces were white oak and naturally finished. One of the greatest challenges was to securely mount the heavy hanging pieces on the previously exterior and extremely uneven cinder-block wall. The TV was mounted on a turntable that allowed it to be pulled out and swiveled. 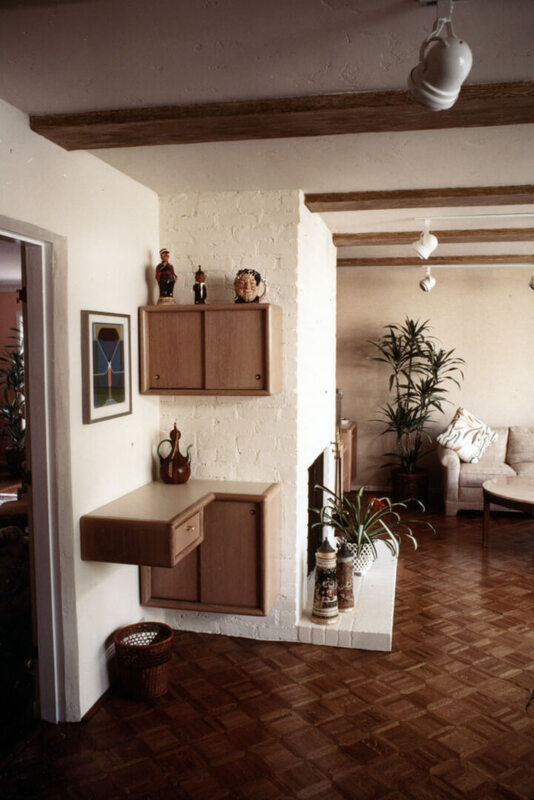 The bar area consisted of a laminate-topped wine storage cabinet below and a glassware cabinet above. Both cases utilized sliding door design. 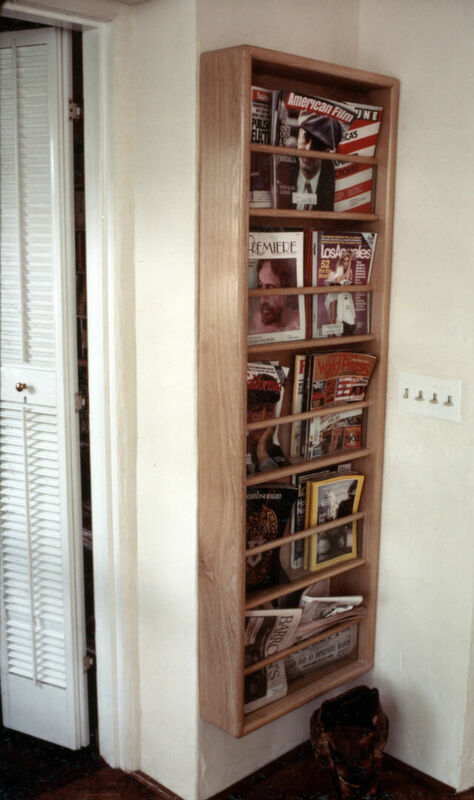 This magazine rack design used glass (entrapped between each shelf and dowel compartment), to provide unobstructed view of the magazine covers.